I find peace with gardening. I also like the idea of growing fruits and veges that have not been pumped with chemicals like store bought ones. Im all for organic growing. Comments: - Purchased as a small plant about 12cm by 12cm tall and wide from bunnings (Nellie Kelly Brand). Within 2 weeks it doubled in size and is flowering. It is currently growing in a 300mm pot (19L). Potting mix is 30% coir peat, 30% compost and 30% potting mix with dynamic lifter and blood and bone mixed in. It is fed with charlie carp organic. 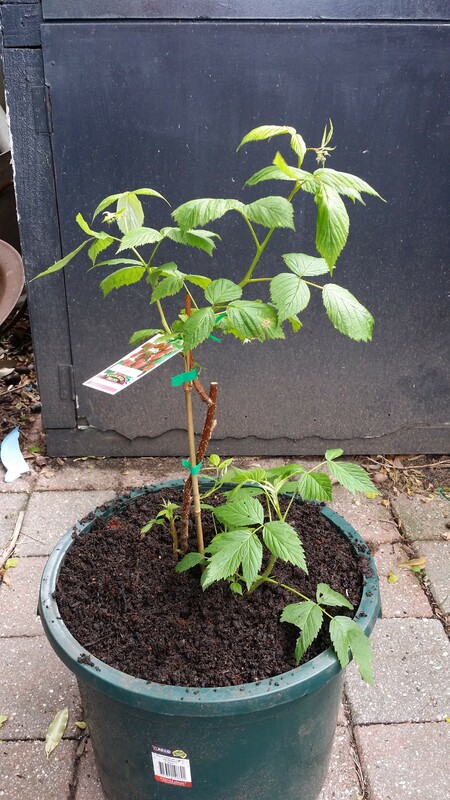 Comments: - Got this raspberry (Heritage) from bunnings this spring. Since its an Autumn variety it fruits on current season shoots. 2 weeks after i purchased it in spring it opened up flower buds and same time as my blackberry. I might get 2 crops from this one, the main one being in autumn. This one is planted in a 430mm pot. 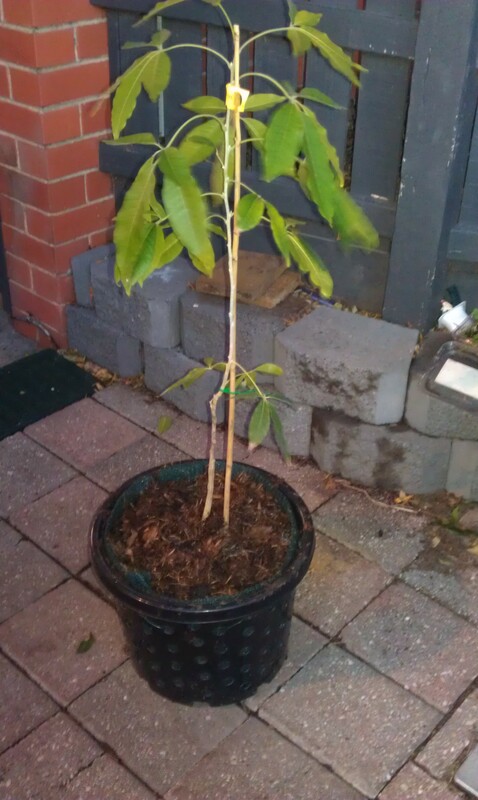 Comments: - Purchased from bunnings through Flemings Nursery as a 2yr bare root tree. 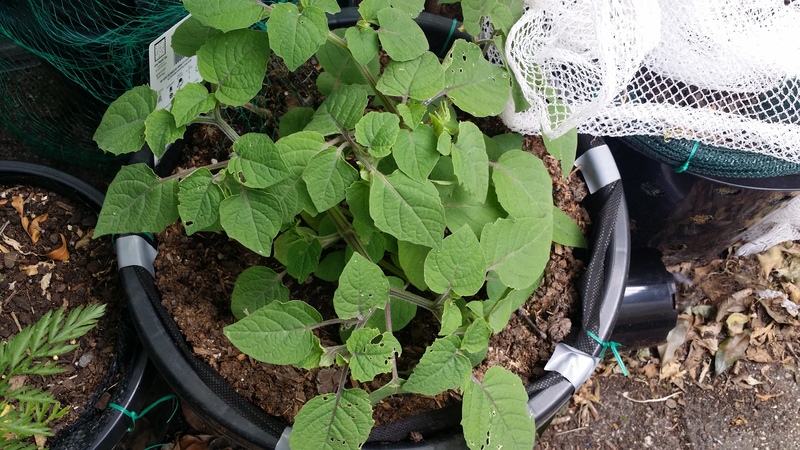 Just like my Deana Fig, its growing in a modified self watering planter barrle with holes lined with shadecloth for air pruining. i have received great results with other plants so i hope this will work well with trees. Potting media is 30% potting mix, 30% coconut coir and 30%compost. So far its growing really well. I cant wait for the sugary sweet fruit in summer! Got a pack of 10 cuttings from an eBay seller.I gave some away and rooted 6. 1 did not take and i kept 3 that rooted and gave 2 plants away to a friend. The 3 plants are growing well in a cut barrel. This top 1/3 with the pepinos is also self watering. I had trouble with fruit set during winter as they like warm temperatures to set fruit. 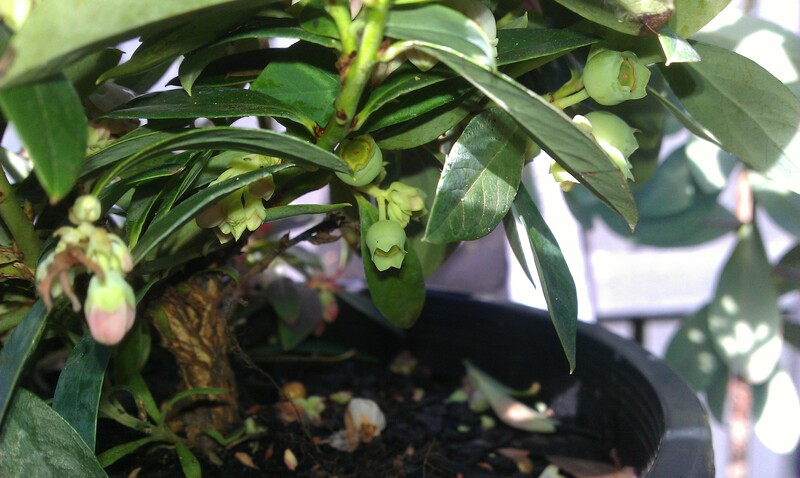 They have started flowering again now and im hoping for fruit set as its Spring and getting warmer. Update: I have removed the other 2 from the barrel and planted them in the ground. The remaining one has about 9 little fruitlets and one small developing fruit. The warmer nights definitely have helped. 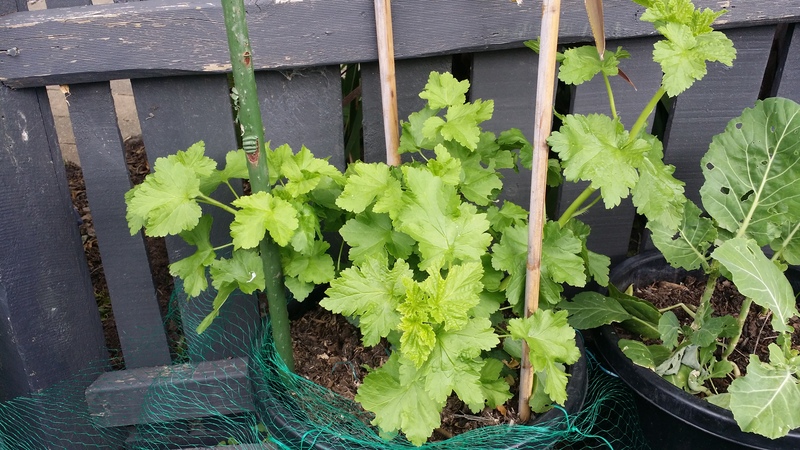 The plant was given sulphate of potash to assist in fruiting. 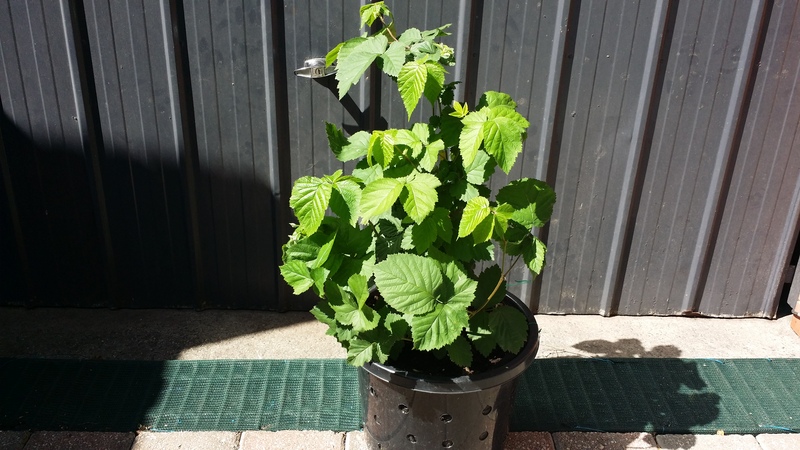 First attempt at growing a blackberry bush. 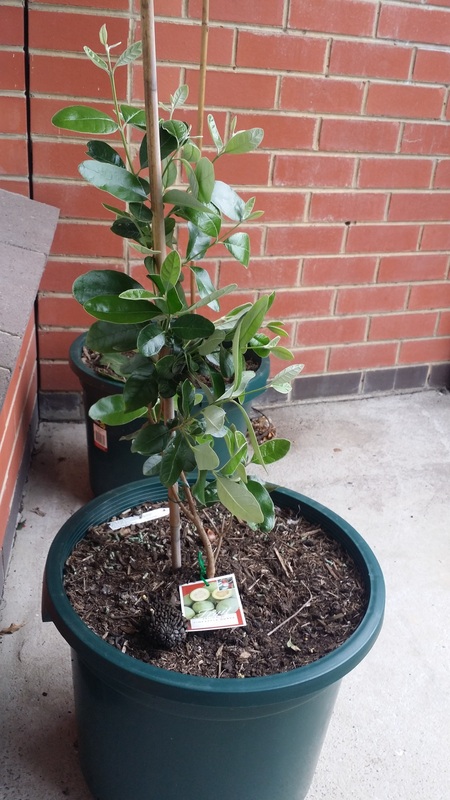 I received it as a dormant plant in winter from bunnings. Since waking up from dormancy it'd covered in leaves and growing vigorously! Its fed weekly with 1/2 dose of blood and bone liquid plant food. Diy potting mix consists of 30& coconut coir, 30% compost and 30% potting mix all mixed in with blood and bone and chook pellets. Its doing well in a 300mm pot. Plant is growing rapidly and responded well to charlie carp organic. Comments: - This was my 3rd addition to my small fig collection. Bought from diggers it arrived just as it was going into dormancy. It has now come back with vigour and i can not wait to taste the fruit. Its currently growing in a 300mm pot and and fertilized with dynamic lifter plant food. I will change to the Dynamic lifter fertilizer higher in potash when its starts to fruit. This was my first fig tree. 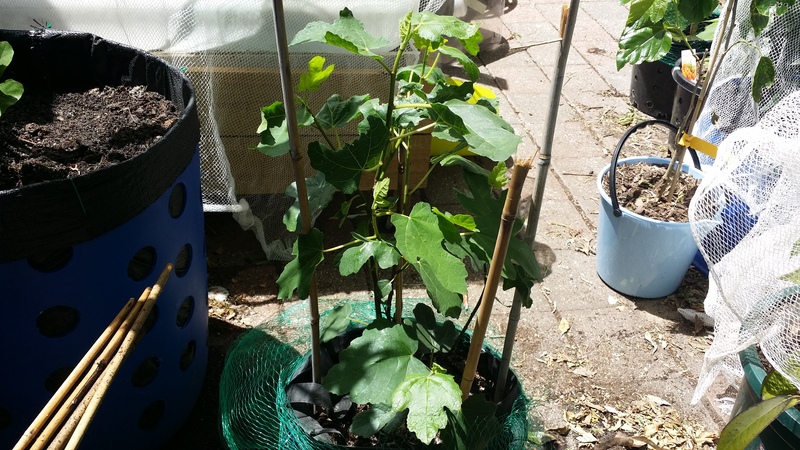 I was tired of purchasing bland figs (that are picked too early) from the store so i decided to purchase some fig trees. 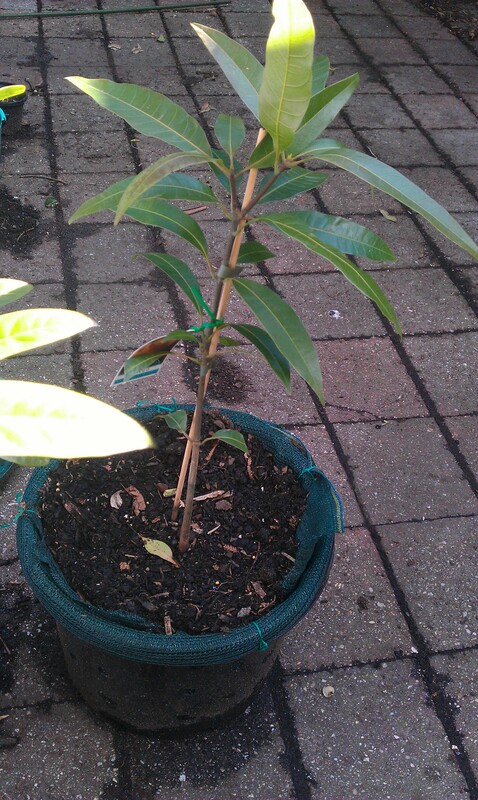 This one was purchased from Bunnings who inturn got them from Humphries nursery. 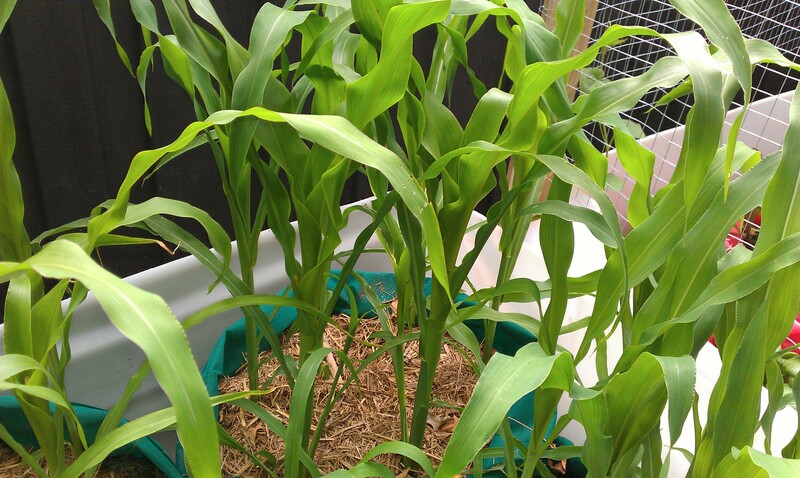 Potting mix is 30% coconut coir, 30%pootting mix and 30% compost. I mixed in with a handful of dynamic lifter and some blood and bone and planted it into a 300mm pot. Comments: - As i am a fan of berries i picked this up from bunnings. Its a dedicuous, self pollinating thornless berry and a cross betweeen a gooseberry and a black currant. It lost all its leaves in winter and has since come back well. Its currently growing in a potting media of 30:30:30 compost, coir peat and potting mix mixed in with blood and bone and dynamic lifter it loves a full sun position as well. Its a summer bearing fruit plant like most of my plants so i will update on plant growth habbit and plant yield. Comments: - There were only two fig types at bunnings, brown turkey and black genoa and wanted a bit more variety. 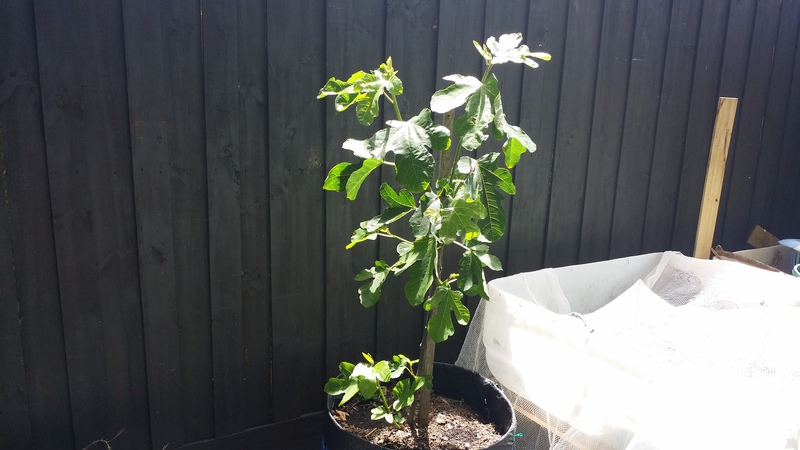 I purchased this 2 year old bare-root fig tree from an online eBay nursery. Its supposed to have light greenish-yellow flesh and a tasty pulp. Its currently growing in a cut 200L drum. The cut drum is self watering and promotes healthier root system through air pruining. 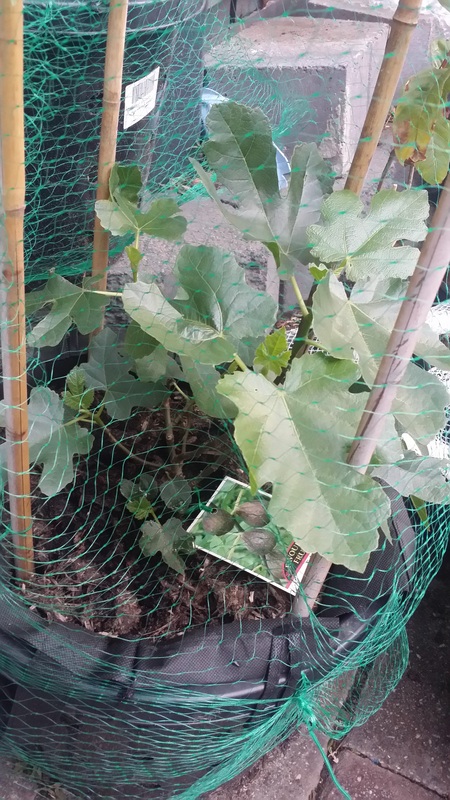 The fig has just started to produce some foilage. Potting mix is the same as my other figs. 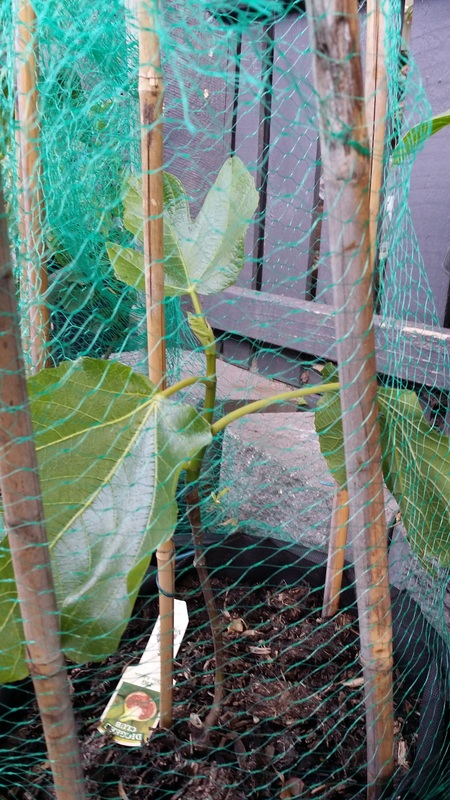 1:1:1 coconut coir, potting mix and compost mixed in with dynamic lifter. Comments: - Just received it today and counted about 20 fruit currently on it. The tree has just come out of dormancy and i can't belive i will be having fruit in a few weeks. I will be potting it up in a 510mm pot (52L) and that would be its home for a while before i transfer it to a self watering barrel (100L) permanently in a year or 2. 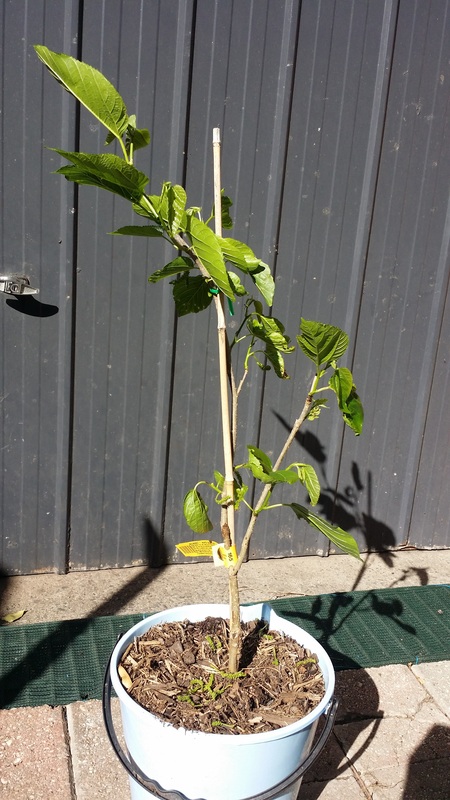 I will regularly update on plant growth and taste of the fruit as it will mature in a few weeks time. Comments: - Just like my Brown turkey fig, this was also purchased from bunnings. 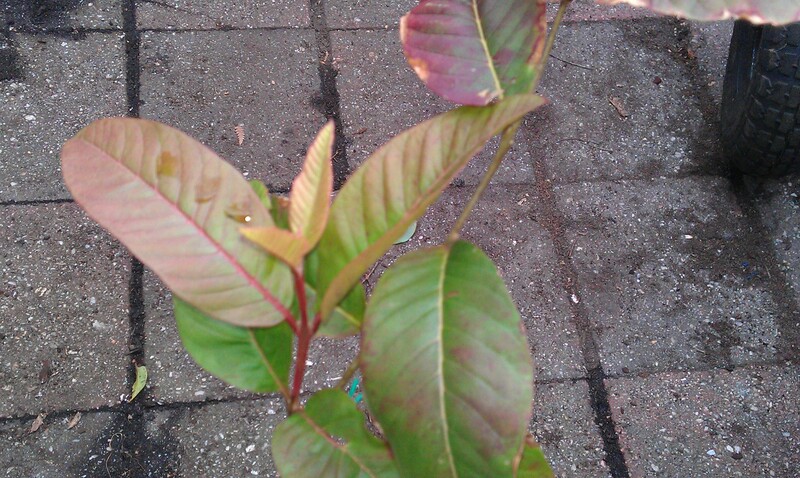 It was badly affected by rust in late autumn due to wet and humid weather. 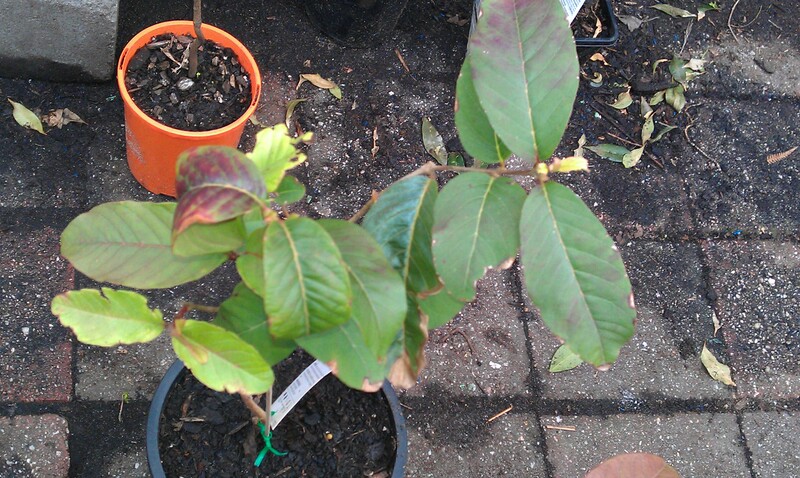 It has come back with great vigour and was the first to break dormancy out of all my figs. Potting mix is the same as the brown turkey. I can't wait for it to start bearing. 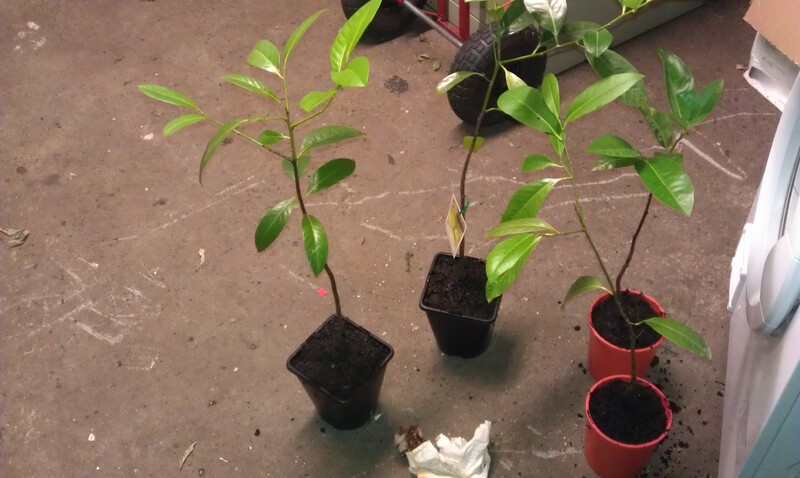 Comments: - I purchased 4, 2 year old black sapote seedlings on eBay during the start of winter. They have since tried to push new growth but the cold weather was detrimental to their progress. Its now Spring and one of the 4 is looking to open some buds. They survived the Melbourne winter with minimal care other than the seasol and moving in the garage during cold nights. Comments: - I already had an early season blueberry bush so why not a mid season one? 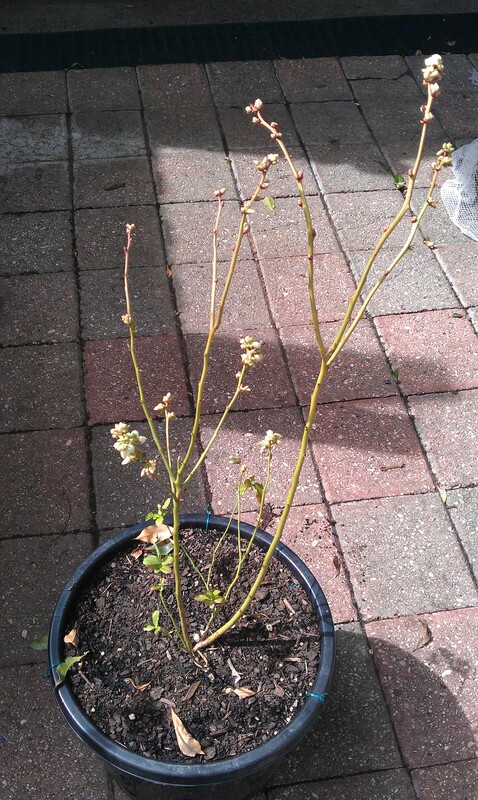 The blue rose has been repotted into an Azalea mix and has begun to flower right after breaking dormancy. It seems to produce flowers first before leaves? It has since produced clusters and clusters of white bell shaped flowers. I am currently hand pollinating with a narrow hobbyist painter's brush and this technique worked really well with the sunshine blues. Its supposed to grow up to 1.5m high and wide and is currently in a 300mm pot. I till be up potted to a half wine barrel next winter when its dormant. I'll update of growth progress and fruit quality. 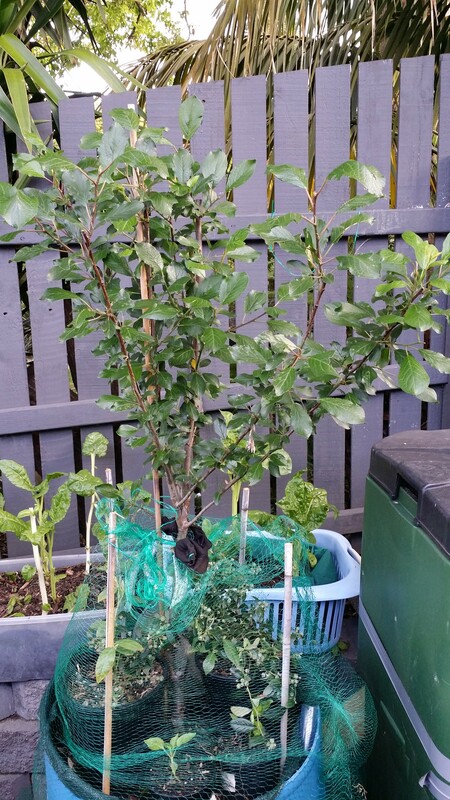 I purchased 2 bushes from 2 different nurseries, Nelly kelly and Humphries. Both are fruiting. The Nelly Kelly already has about 30 berries and its a small bush. The Humphries ones has hundreds of flowers and about 1/2 as much berries (currently) as it started flowering later than the nelly kelly. I am feeding them with blood and bone organic fertilizer which is safe for them. Due to lack of pollinators int he winter season, i highly suggest pollinating with a small narrow paint brush or shake the bush a bit. They are still in their original pots and i will repot into an Azalea Mix once they finish cropping. They need cool winter nights to promote flowers and are evergreen blueberry plants and are supposed to grow to about 1m high and wide. Perfect for tubs and pots. I will update on how much i have harvested later. Comments: - Not sure if cuttings or seedlings. I purchased these from an eBay seller. As a young child i remember feasting on these at my Grandma's farm. She has a plantation of these and white fleshed ones (not sure on varieties). They are growing really well and pushing new growth. I am currently waiting on some fruit hopefully next year. Before i moved to Australia i used to have this fruit back home a lot as a young child. I loved it. The instant i discovered them for sale on Daleys I immediately bought one for nolstalgia's sake and the awesome taste. The tree was a bit quiet during winter when i got it and has since pushed some new lateral buds that will hopefully branch out as the weather gets warmer. 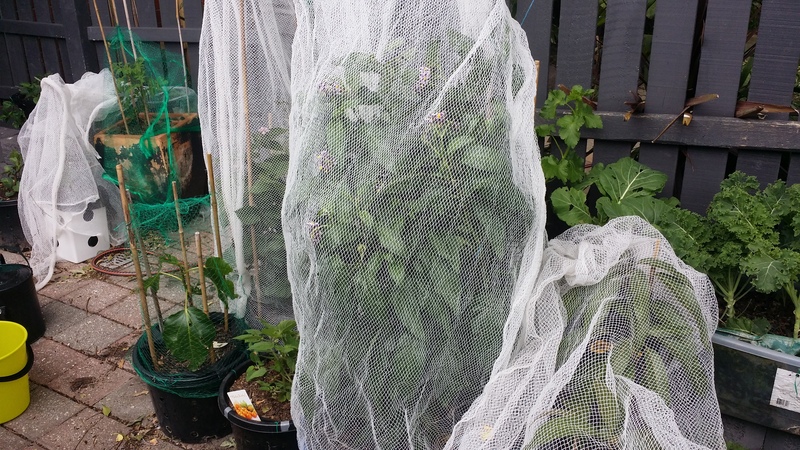 It has been re-potted into a 300mm pot with holes lined with shade cloth for air pruning. This promotes more firous roots that are good at taking up nutrients and moisture. I will get a budwood to graft a different variety onto it when its a bit stronger.